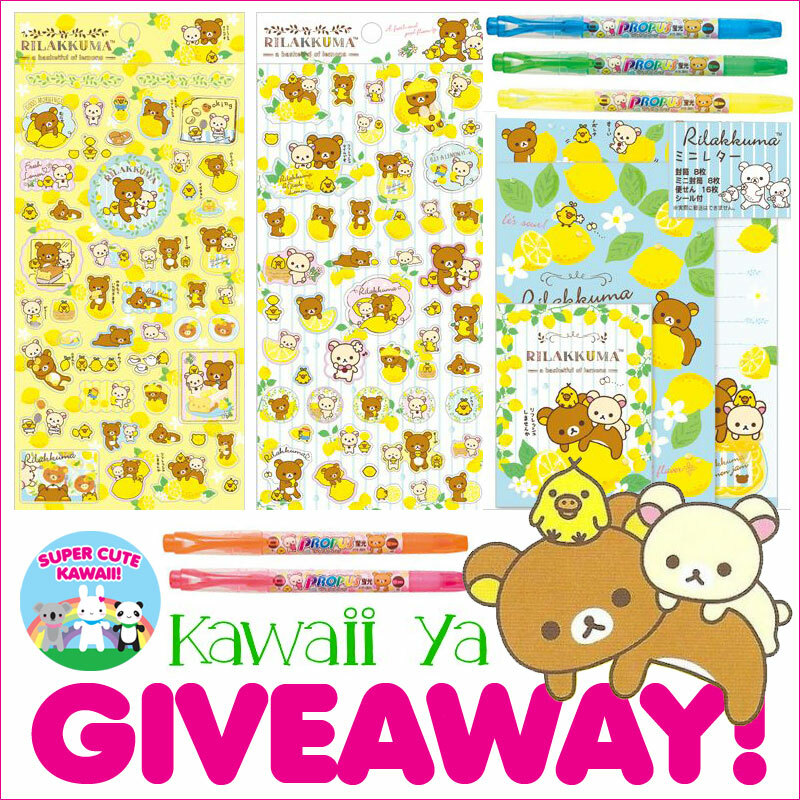 Studio Inktvis Kawaii Giveaway - CLOSED - Super Cute Kawaii!! 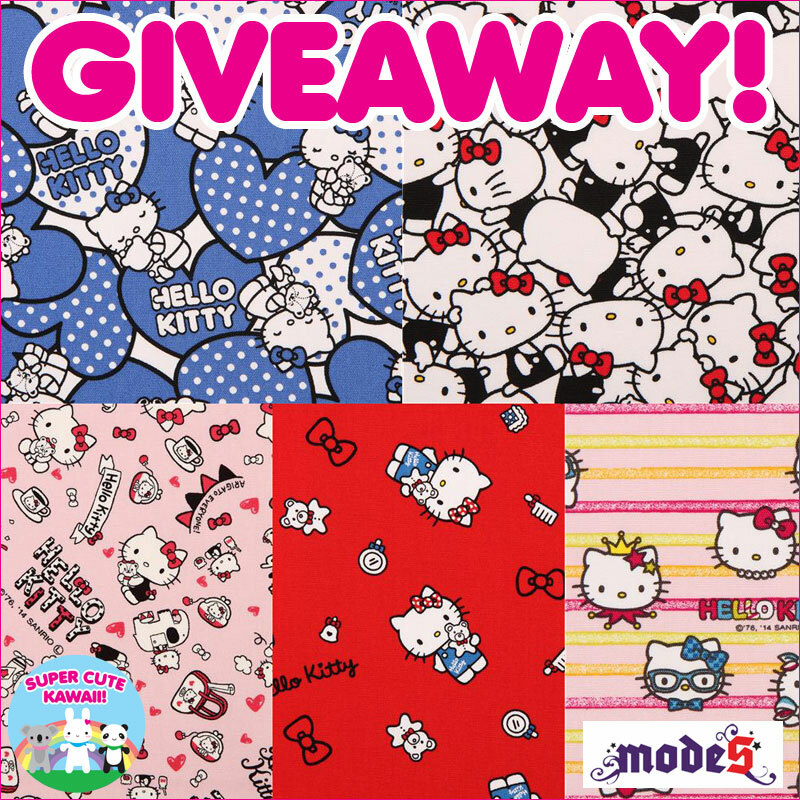 Time for a new giveaway, this time with Studio Inktvis, who design kawaii stationery and lifestyle products in the Netherlands. 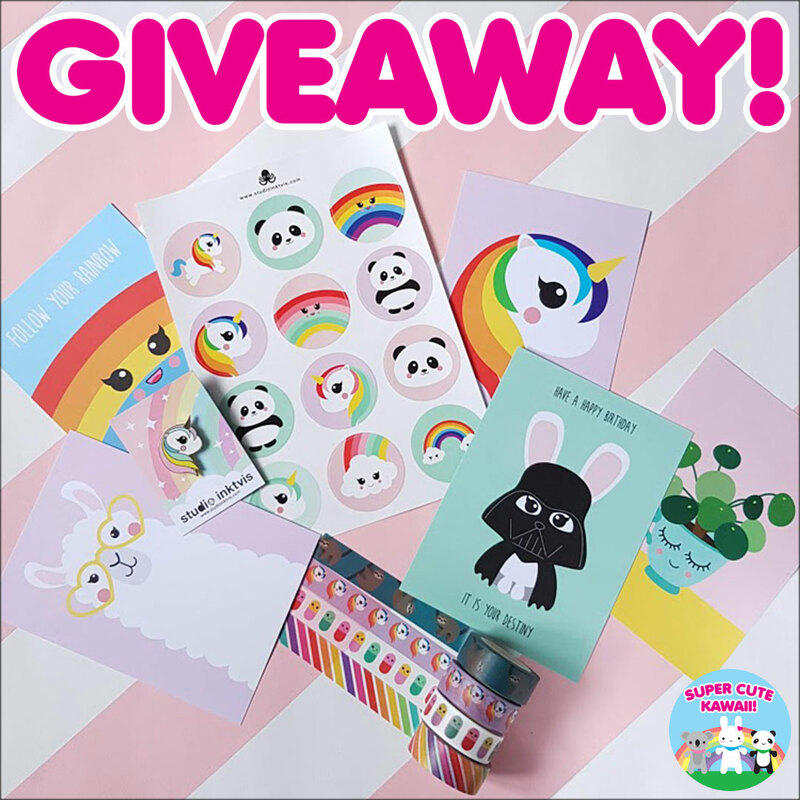 One lucky winner will receive a unicorn enamel pin, sticker sheet, set of 5 postcards and 5 washi tapes, all with original designs. 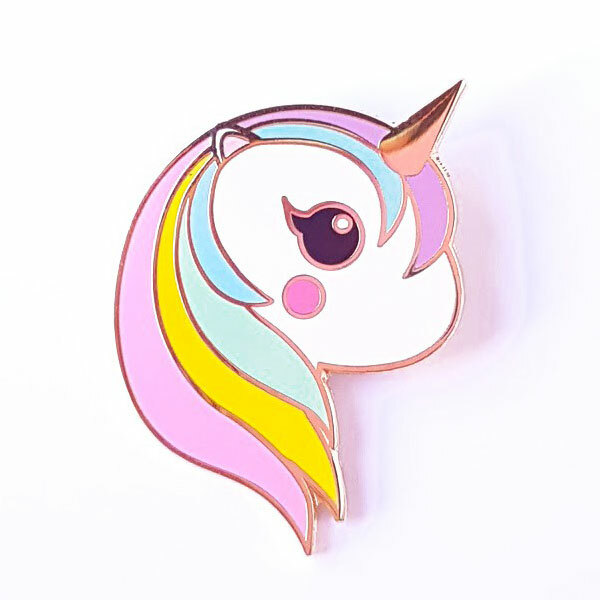 Here’s a closer look at the adorable pin. 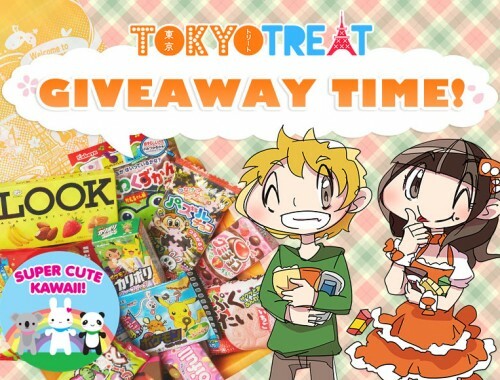 To enter the giveaway, visit Studio Inktvis and then leave a comment on this blog post telling us Which character/design would you like to see on more products? And what kind of products? Prize ships from the Netherlands and is worth €33,90. The giveaway closes on Tuesday 16th October at 10pm BST and we’ll announce the winner on the blog the following morning. Good luck! As a crazy cat lady, I would always like to see more cat products! 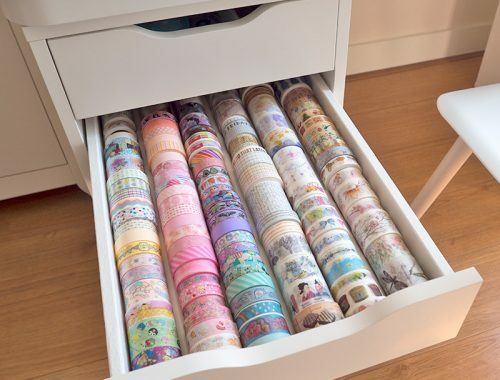 I would definitely love some nerdy cat washi tape or more cat stickers. I love enamel pins and patches but also stationary and artworks. And plushies! I wish for more Gudetama and Aggretsuko. Alpacas would be cute on some stuff! A card with the Pilea design would be cool! I really like your Sloth and Alpaca characters. + all the pins are really sweet. I would like to see the alpaca character on more products such as enamel pins, patches and stationery. Mythical critters are always wonderful. Dragons, unicorns, you name it! 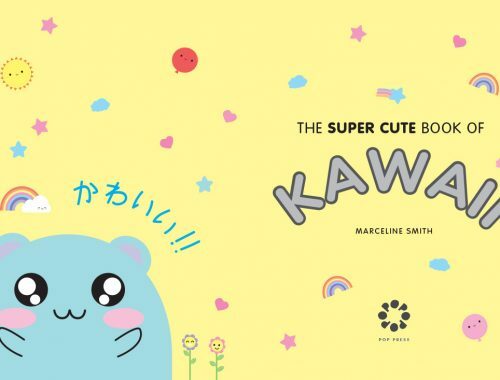 I love kawaii and its a joy to constantly get to see new creations come out! Color, whimsical pastels are a color scheme i really hope to see more of. And of course without a doubt I hope for more unicorns and rainbows and quintessentially anything in ideal context of innocent magic. 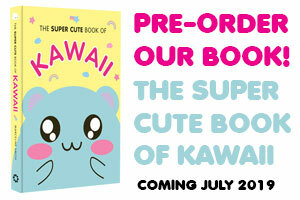 Hoping for more childhood nostalgia and color palates that pop out to really pull through to create kawaii moments! A Phoenix would be a super cute idea! Oh or maybe like an alpaca dressed as a Phoenix or something, I just think that’d be super cool and unique and super duper cute! I am in love with the alpaca from studio inktvis and would love more products of him! Especially more postcards!! I absolutely adore animals. Your products are really cute and I also love every new idea that comes. Notebooks,stationery,pins. 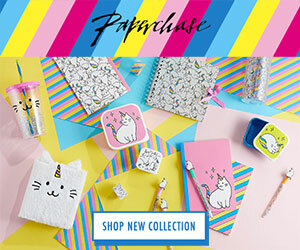 I would love stationary or like animal themed stuff. For example the theme is jungle. 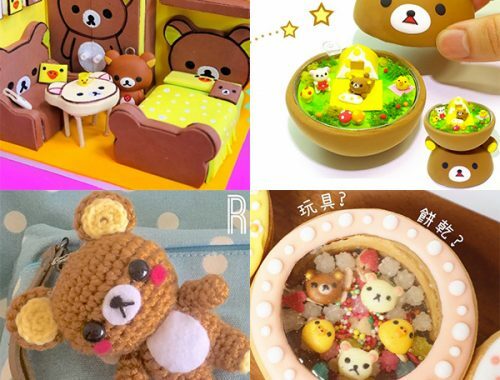 There is all sorts of cute stuff that is related to the theme. I also would like to see more letter writing sets with different animals. I admire all the stuff you have made .THEY ARE ABSOLUTELY ADORABLE!!! 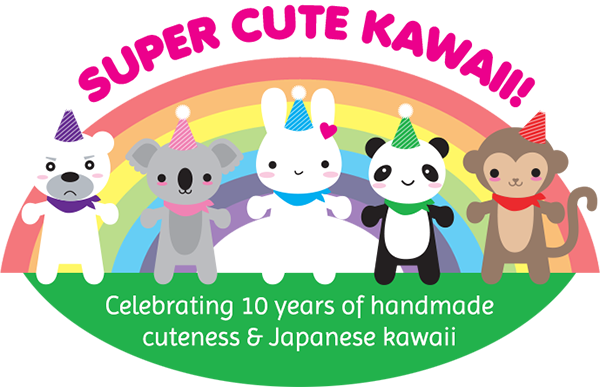 Out of all the kawaii shops i believe that yours is the best one. I love the unicorns and I would like to see dragons, phoenixes, pegasus, fairies and other magical creatures. I would love to see more foods because what else is cuter than a smiling kawaii banana? I miss pencils/pens and I’d like to have a washi tape with ghosts :D Please make one with different ghosts on it. I would like to see more slugs on mugs. I loved the cute cat decal I would like to see it as a pin or patch. Omg, I love caticorn!!!!!!! more productos of him please! Ich wurde gern ein faultiersehen! 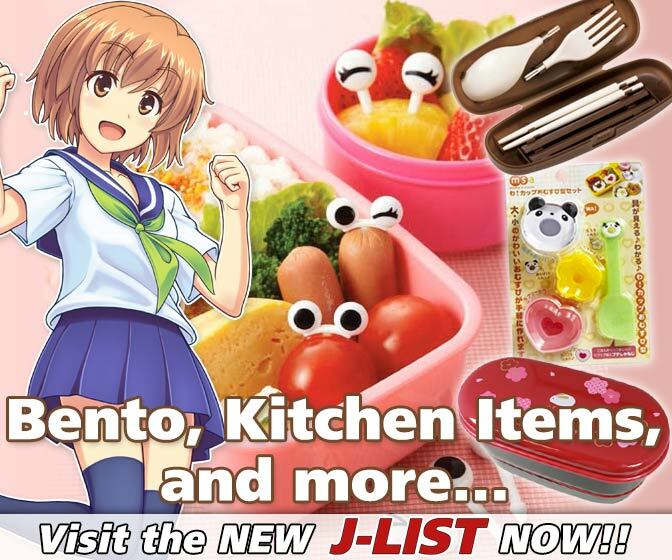 Some more diy cooking stuff would also be nice, maybe something about preparing a bento box with nice accessories included. I would love to see more peacocks. 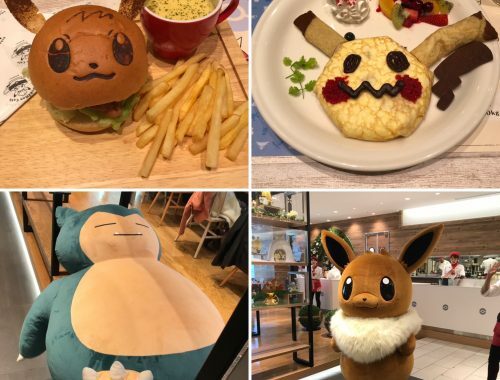 I would like to see cute Food or bears. Awesome. 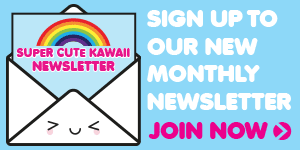 Please more kawaii food products!! I’d like to see more animals like the bunny and polar bear. I would LOVE more rainbows and kittens! The Avocado sticker on handmade jewelry pieces. Oh yeah that is a really good idea!